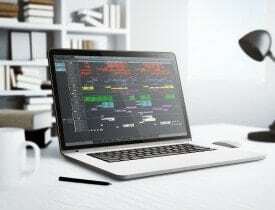 Which is the best DAW 2018 ? The DAW you choose often depends on the type of music you make, your budget, your workflow and the level of experience with music software. We have made a special list of TOP DAWs in the world to make your choice easier. 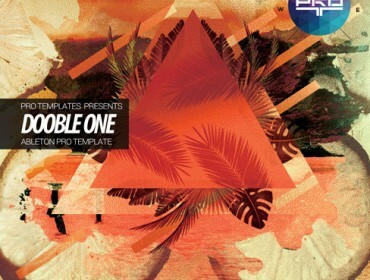 And of course on our site you will find the templates for each of these DAWs. This is an amazing digital audio workstation, but for MAC users only. One of the more simpler DAWs, Logic has come a long way over the years. Originally created by a German software developer called C-Lab, and later Emagic, Logic Pro became an Apple product when Apple bought Emagic out in 2002. What stands out with Logic Pro is the interface — very advanced to help with the music making process by including track consolidation (track stack), instrument layering, an intuitive mixer for plug-in control, and a “score editor” to allow you to create your own MIDI (comes with nine MIDI plug-ins that help you transform the sounds, such as chaining multiple plug-ins together, scale velocity, etc) tracks with only a mouse (most programs have this). It has a “virtual drummer” feature which features an interactive drum set for visual implementation of drums for some fun playing and natural sounding kits. Also has an arpeggiator that’s better than a lot of software out there, it’s programmable too. When this product first appeared in 2001, it did not immediately become a big name in the market. Nonetheless, in the past 8 years, it has been more popular and has been ranked as one of the best choices available. One of the simplest DAW’s to produce any genre of music with, Ableton is not only great for producing songs in the studio with, But its great for performing live with thanks to its ‘Clip View’. 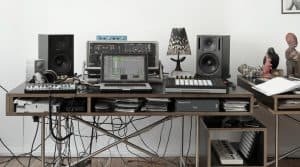 Ableton Live is designed to be an instrument for live performances as well as a tool for composing, recording, arranging, mixing and mastering. Cubase has been an industry standard for years now. Often referred to as “the granddaddy of DAWs,” it has been in development since 1989, created by Steinberg, the company who introduced the Virtual Instrument Plugin technology we all know today as VSTs. Many well-known composers including Hans Zimmer use Cubase, and there is no question it is an excellent piece of software. 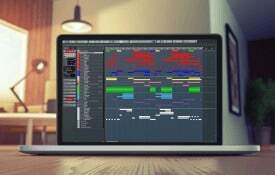 Originally released on Atari, Steinberg has been able to refine the DAW over the years while still keeping in mind the requirements of the modern day producer. Studio One has been gaining ground for several years, and it’s now a DAW of real power and maturity. Version 3 heralded the arrival of new arranging, sound design and composing features, and added a couple of extra software instruments, too. In fact, Studio One 3 is a very solid update, boasting greatly improved content, a significantly more powerful and creative feature set, and a generally more professional feel. It all adds up to a well-rounded DAW that, for the most part, stands shoulder-to- shoulder with its far more established rivals. One of the newest DAW’s on the market, and very similar to Ableton Live, This brand new German software company is an off shoot with some of the former Ableton employees who decided Ableton need some better features. The Bitwig team has worked very hard to focus on what the modern day electronic musician needs. Given the amount of updates released – roughly one a month – the Bitwig team is constantly refining and improving the program. Bitwig is without a doubt the DAW to watch in the next few years.